Dr Mooktadir Ansar MBChB MRCGP, graduated from the University of Dundee School of Medicine in 2007. 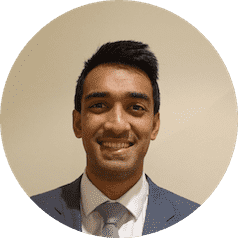 He gained experience in a wide variety of hospital specialties at busy teaching hospitals, before completing his GP specialist training and obtaining his MRCGP in 2012. Since then Mooky has worked in a variety of different Primary Care settings including; NHS Out of Hours/Urgent Care services, NHS Practices & Private Practice. He has a particular interest in acute illness. Mooky relocated to London in 2015 from Scotland where he grew up.